They understand that the only effective way to govern Americans is to lie to them, not because we’re too stupid to grasp the big issues, but because we’re too busy to care. The Democratic Convention’s biggest disappointment was Barack Obama’s complete failure to convince anyone that he’s a regular joe, possibly the simplest lie in politics. 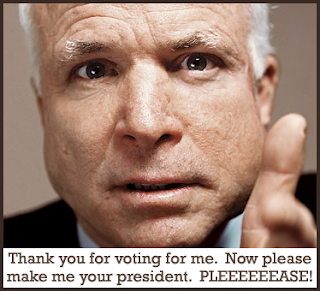 John McCain, on the other hand, is a confident liar doing especially impressive work on taxes and Iraq.